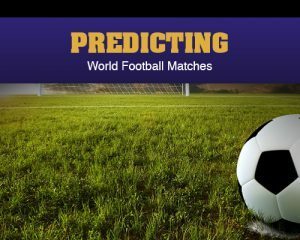 Whether you take action on Premier League, La Liga, UEFA Champions, World Cup qualifiers or any other premium European league or international tournament, you want to know which team will win a football match. When you join the best sportsbook, you will know that making the best prediction is key in sports betting. Here is where you may wonder in particular, which rankings make the best predictions? Should one stick to the ubiquitous FIFA rankings or switch to the calculations of an upcoming number cruncher? Recent academic research from the Netherlands sheds light on this question. Jan Lasek and coworkers looked at a variety of world rankings in football and asked how well they predicted the results of 979 test matches, a huge sample set. To test the rankings, they developed a method so each rankings gave a “win probability” for a match. Then they looked at how far this probability deviated from the actual result of the match. For example, suppose Germany is predicted to have a 54% chance to beat France. If the match ends as a draw, the deviation of the prediction (0.54) from the result (0.5 for a draw) is 0.04. Taking the square of 0.04 gives a measure of the error. A win for Germany gives an error of (1.0 – 0.54) squared, while a loss results in an error of 0.54 squared. For the curious football fan, the paper draws the following conclusions. FIFA, the international governing body for football, publishes the most popular international rankings. However, it’s just a table (3 points for a win, 1 for a draw, 0 for a loss) that attempts to account for strength of opponent and importance of the match. The FIFA rankings do poorly at predicting the outcome of matches. Of course not much can be expected from such a simple method? They account for strength of schedule by taking the rank of an opponent and subtracting it from 200. That might have been novel in 1863. While FIFA fails in ranking nations in men’s football, they do a better job for women. The FIFA Women’s ranking uses an Elo type rating system that accounts for margin of victory. The Elo rating system is a method for calculating the relative skill levels of players in competitor-versus-competitor games. It is named after its creator Arpad Elo, a Hungarian-born American physics professor. The top 5 rankings for predicting matches use margin of victory in their calculations. Only one of the remaining rankings in the study use this information. Two of the top rankings, the FIFA women’s rankings and EloRatings.net, do not use margin of victory in any kind of sophisticated way. For example, a typical Elo ranking uses a 1, 0.5, or 0 for a win, draw or loss in a match respectively. Instead, the FIFA women’s rankings use a number between 0 and 1 for a match outcome based on the score. These numbers appear to have no mathematical justification. However, the rankings perform well in prediction. The Least Squares rankings and The Power Rank, two methods that naturally use margin of victory, were two of the other top systems.